If you don’t celebrate this festival, the essence of New Year is about saying goodbye to the year before and doing what you can to prepare for the year ahead, including spring cleaning to usher out any bad luck and bad spirits! 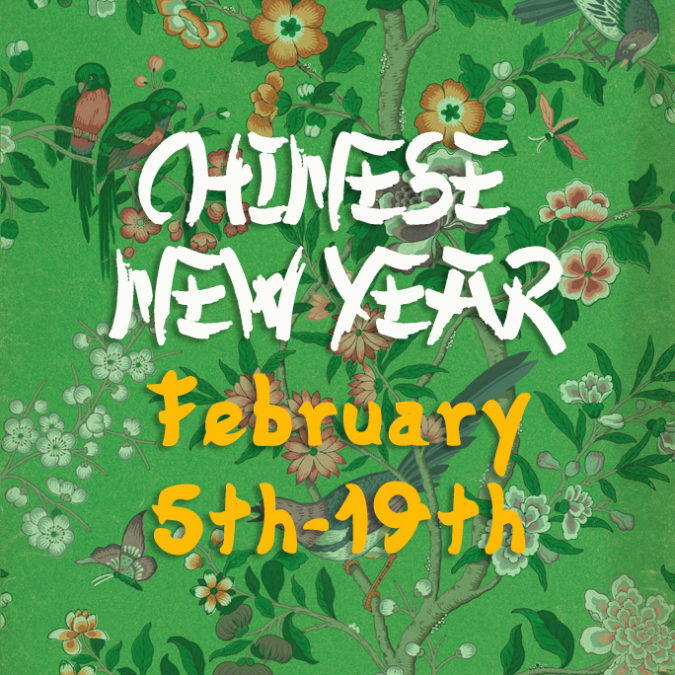 Here’s a mini run down of some of the core themes and events that happen at Chinese New Year! 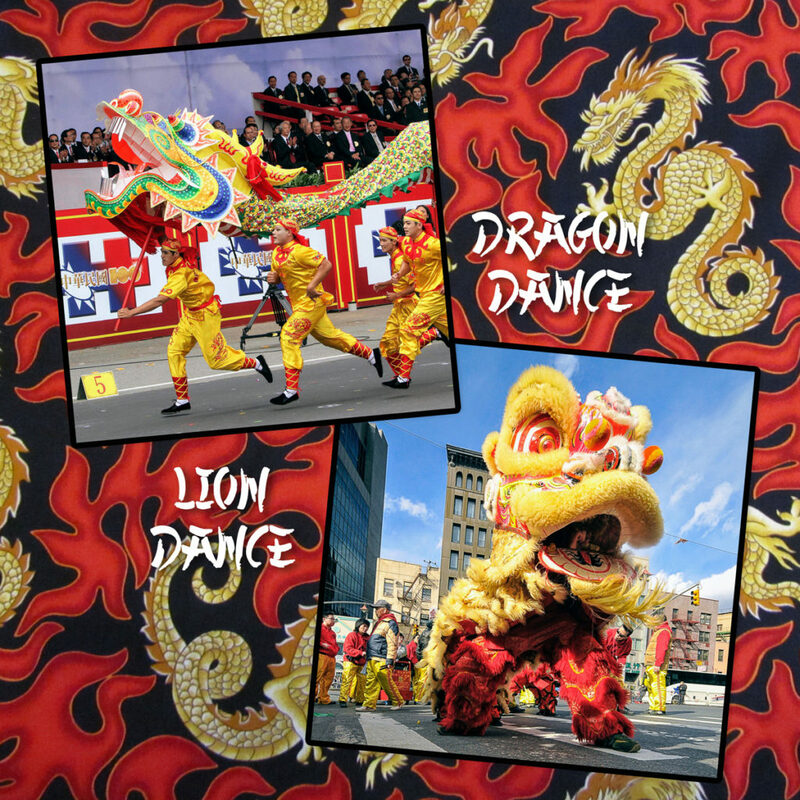 There are two main dances performed during amazing street displays over the festivities – the Lion Dance and the Dragon Dance. The Lion Dance involves 2 dancers sharing a Lion costume and dancing together, whereas the Dragon Dance is a long puppet held up by dancers in a procession and dances his way down the street. The longest Dragon was 5,605 m (18,309 ft) long which is pretty epic! 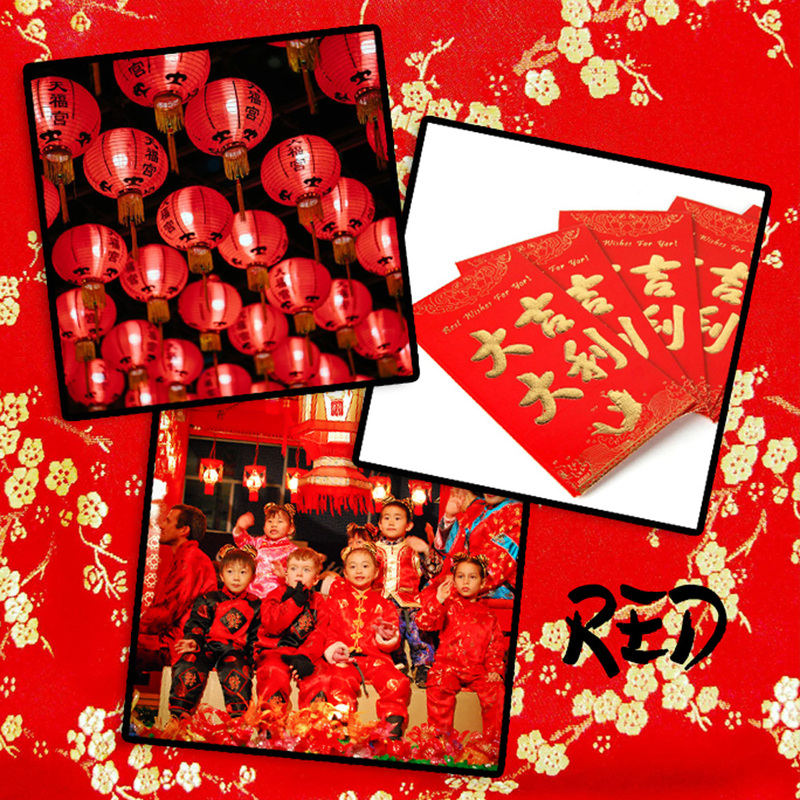 Red is seen to be a lucky colour in China and during the New Year people use as much red as possible – red clothes, red decorations and the little red envelopes called hóngbāo which contains small money gifts given to family and friends. Red lanterns are strung up outside and inside houses, especially on the last day of New Year which is a one day festival called Lantern Festival. This is a subject we can talk about for a long time! 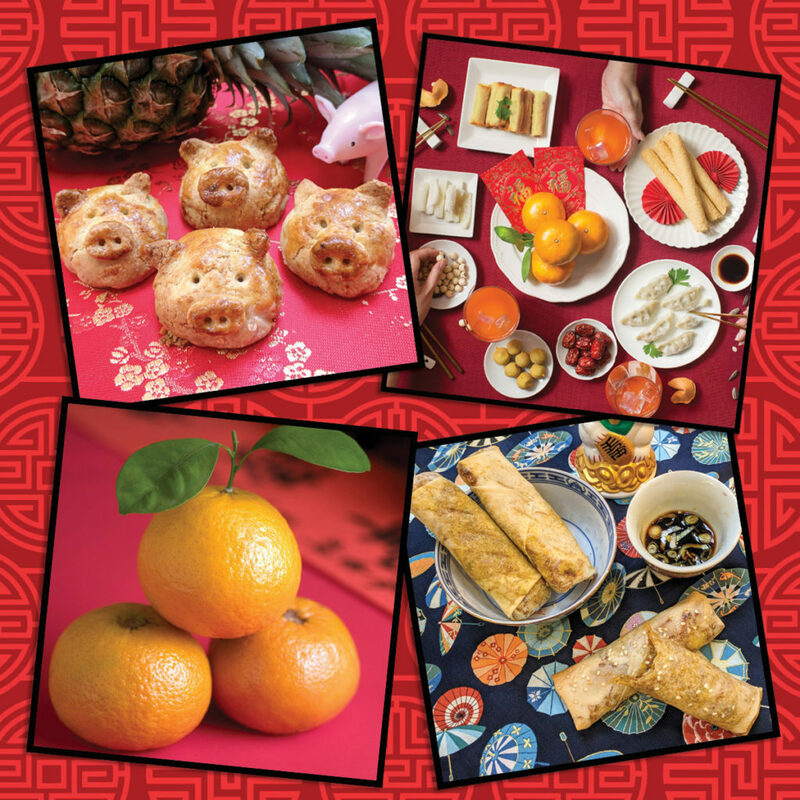 There are lots of special foods and customs around food during Chinese New Year. One is a big family ‘reunion’ meal at the start of the 2 weeks where favourite dishes are shared including dumplings, sweet rolled wafers and usually a whole fish (which has to be half eaten and the left overs used in the following days). Juicy Mandarins, the original sweet Chinese citrus (which was bred with the Pomelo centuries ago to create our modern sweet orange) are also seen to be a lucky fruit and shared. We have taken 2 of the long list of popular snacks for our February Foodini kit – Spring Rolls (so eaten because New Year is also a festival of Spring) and Pineapple Tarts (the Chinese word for Pineapple sounds much like the words for ‘good luck will come your way’ so they are seen to be good luck fruits). There are of course many other customs including watching fireworks and hanging good luck poems in your house (upside down), but this brief overview will hopefully give you some pointers to enjoy a taste of Chinese New Year in your home!